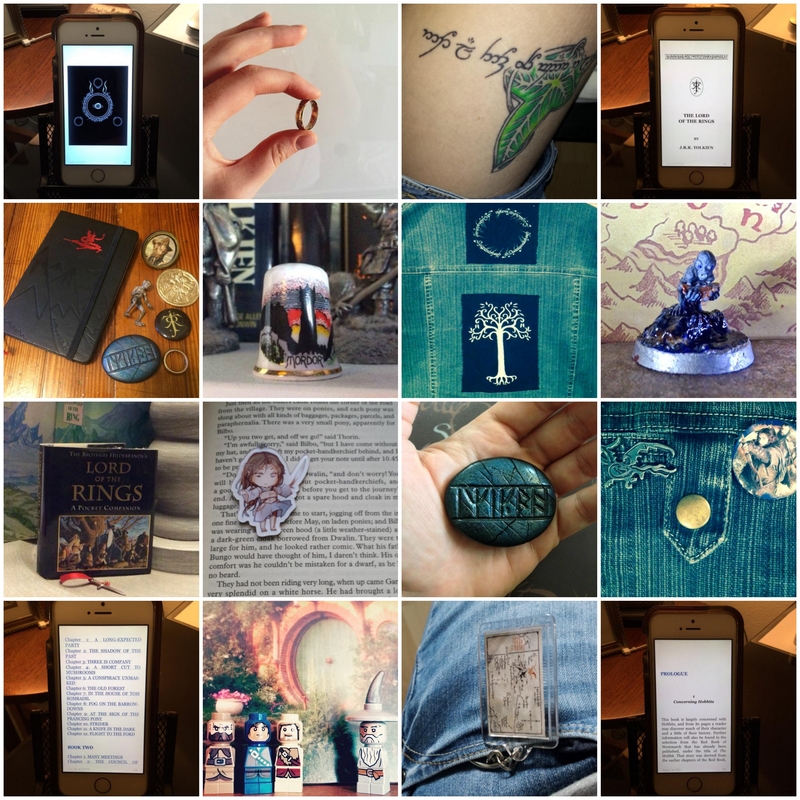 We love seeing the photos that you share on social media with the #TolkienCollection hashtag, but we’re always eager to see more. Every week, we give out new photo challenges so you can share new perspectives on your favorite items! The theme for the week of August 31, 2015 is Tolkien Baddies. A little while ago, we did a challenge that called for photos of Tolkien Besties, and it seemed only natural that the baddies should get their time in the spotlight. Show off your Tolkien toys! Why not do a photoshoot with Sauron, Smaug, Lurtz, Gothmog, Shelob, Wormtongue, and any other baddies you have in your stash? Take a photo of your t-shirts or posters that feature some of the darker characters of Middle-earth! Get back to basics with Tolkien’s books! Perhaps you have an edition with the One Ring script or Saruman on the cover? Or maybe you have an illustrated edition? Last week’s theme was In My Pocket, and we got so many great photos from those who accepted our challenge! You can see them all together below or you could go back through last week’s #TolkienCollection posts to see them and all the other photos shared last week. As schoolkids, Lily and her friends reenacted Star Wars and Star Trek on the playground, and never even knew they were being geeky. They just knew they were being awesome! She is known to quote extensively from her favorite movies and television shows, and doesn’t care if that means belting out song lyrics. When not writing, Lily tries not to unnerve her coworkers and family with her extreme geekery, but somehow, Tolkien, Star Wars, Star Trek, Avatar: The Last Airbender, Merlin, Doctor Who, The Princess Bride, Back to the Future, superheroes, and Disney movies seem to have relevance in EVERY conversation.